Voted Best Nursing Home Northern Ireland. This is no surprise to us as we strive daily to maintain the standards worthy of such recognition. If you would like to know more about dedicated care at Ashwood House, call us on 02890 837270. Newtownabbey’s Ashwood House Nursing Home has won an award for being the top recommended care home in Northern Ireland. The home clinched first place out of 464 homes across Northern Ireland. Leading care home guide carehome.co.uk issued the awards to the top twenty homes in the Province. The award was based on the recommendations of each home’s residents, friends and relatives. Director of carehome.co.uk Davina Ludlow commented: “Ashwood House Nursing Home has proved that it provides great care and we’d like to congratulate it on being a top recommended home in Northern Ireland! 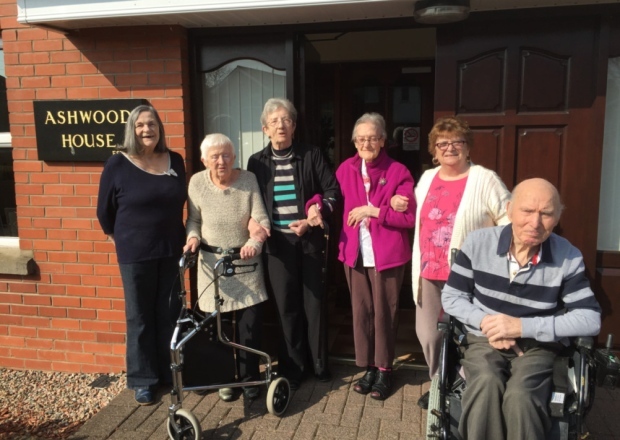 Director of Ashwood House Nursing Home Kevin Pollock said: “We pride ourselves on ‘all round care, all year round’ and would be widely perceived as the leading nursing home in the area. The in-house care team is of the highest standard and we have been consistently evaluated and reviewed most positively.